The Life-Changing Magic of Tidying Up. 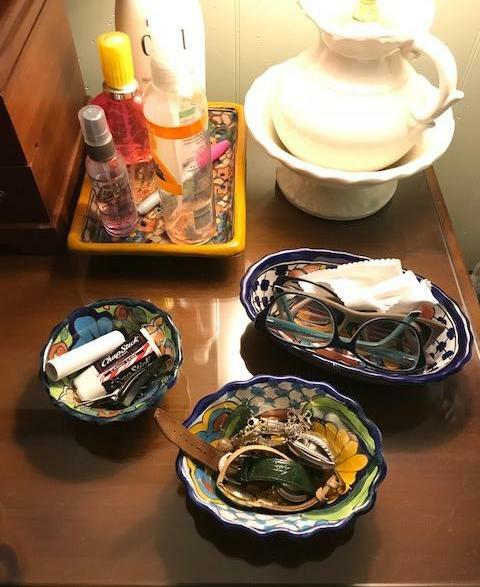 Her method of organizing is known as the KonMari method. I confess that I have not read it because I had preconceived notions about what it entailed. 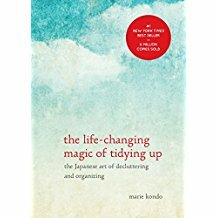 I figured that anyone who wrote a book about tidying up in Japan has no idea what it's like for a professional organizer to help Americans "tidy up" their homes. In Japan the average size of a home is 1,310 square feet compared to an average home in the U.S. which is double that size at 2,687 square feet. Identify what you love. 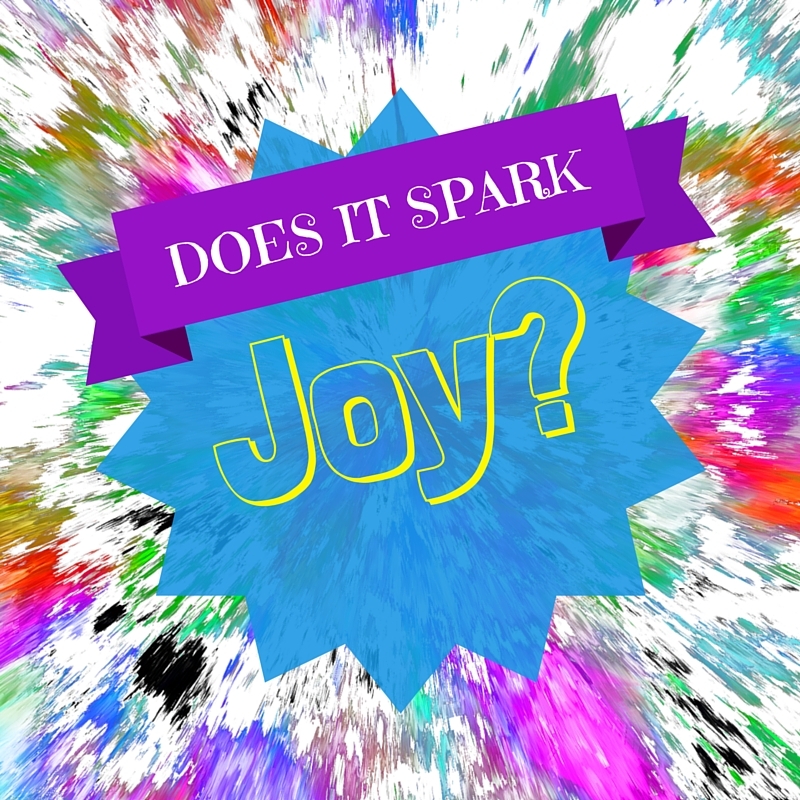 If you want to downsize your belongings and want a place to start, identify what you love, in other words, does it spark joy? 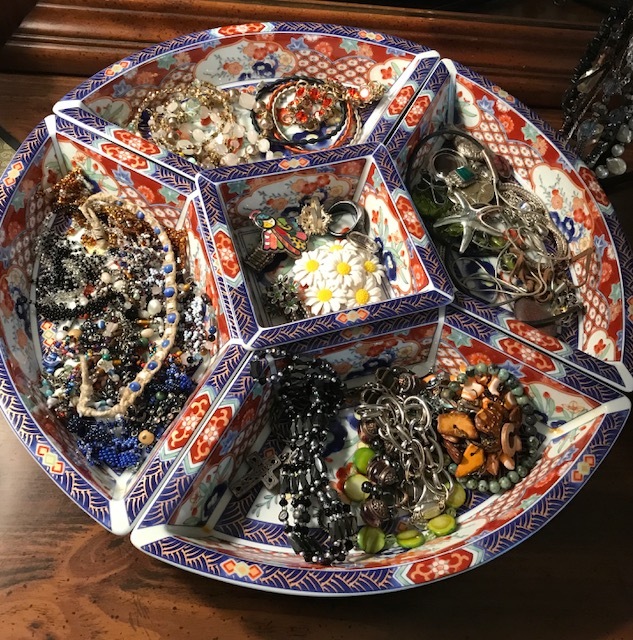 Downsizing or "rightsizing" your home is not just about what to let go of, but what brings you joy, pleasure or is useful to you in the present or the future. Remember, CRAP is Clutter that Robs Anyone of Pleasure, so if it's not something that you love, it may be CRAP. Take one category at a time. When you want to rightsize your whole home, it's hard to get focused and not be overwhelmed. Try starting with one category such as books, clothing, paper, etc. That means look at all the books in the entire house, not just what's on one bookcase in one room, but all the areas that have books. Move quickly through. Moving quickly through your items as you make a first pass is essential to making progress early. Remember, it's not a once and done process when you are letting go of those items that you no longer need or want. The first pass is usually the easiest and a second or third pass may be necessary. Finally, give yourself a deadline on when you want to finish your rightsizing and schedule it on your calendar so it gets done. Also, as you decide to let go of items, try not to let guilt, the past, or comments from others drive your decisions. Concentrate on the future and whether your items will be a part of the home you envision in the future. Trust your own judgement, let go of the CRAP and find joy in your home!